Editors’ Note: Our first response to Ken Burns and Lynn Novick’s Prohibition comes courtesy of noted alcohol and temperance historian David Fahey. We’re grateful to him for sharing his thoughts on the “Nation of Drunkards” episode, and welcome your thoughts on the same. The concern of temperance reformers toward drinkers was partly compassionate but increasingly grew out of fear; fear that urban immigrants would undermine the American way of life (and fear by white Southerners about drink turning blacks into dangerous neighbors). Anger and sorrow that drink destroyed families (by which temperance reformers meant the mistreatment of wives and children). Drinking was both a badge of masculinity and often the ruin of the core requirement of masculinity, supporting one’s family. National Prohibition was a fluke brought about by a combination of the political skill of the Anti-Saloon League, the adoption of an amendment to the federal constitution that created an income tax (making drink taxes irrelevant), and American entry into the First World War which allowed the demonizing of German-American brewers. The assumption that National Prohibition would be self-enforcing. The limitations of the program are largely the result of the nature of popular TV history that can present only a handful of stories and prefers the colorful to the complex. Carry Nation gets more time than the mostly forgotten temperance fraternal orders. The progress of temperance was slow in the South where the anti-drink agitation was identified with Northern abolitionism (and in later years the Anti-Saloon League was not especially powerful in many southern states). The change in American drinking habits from “hard liquor” to lager beer deserves attention. Was the amount of pure alcohol consumed per capita as great in 1914 as it had been in 1830? Wasn’t the saloon dying even before the advent of National Prohibition as a result, in part, of the growth of alternative ways of spending money and leisure? “Nation of Drunkards” is very much an American story. The only mention of temperance movements outside the United States contrasts the objective of an amendment to the national constitution with the lesser objective of enacting laws that could easily be repealed. The existence of temperance movements in other English-speaking and Nordic countries makes one uneasy about the emphasis on anti-immigrant sentiment as the central motivation. It could not explain the temperance agitation in New Zealand and Sweden. What about Russia? 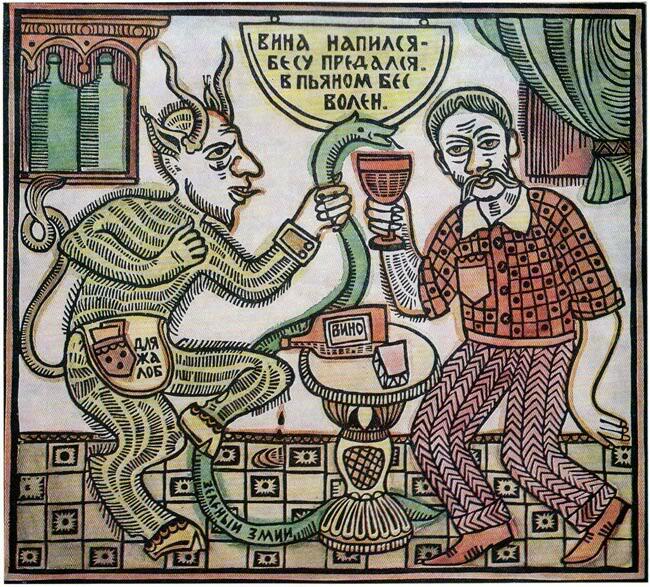 It adopted prohibition during the First World War under the tsars and retained it for several years under the Bolsheviks. 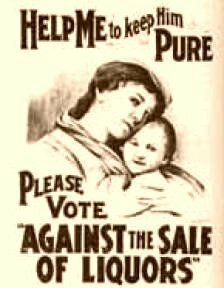 Rural and small town evangelical Protestantism is a powerful explanatory tool, but we should not forget the most famous and briefly the most successful temperance reformer in the nineteenth century was an Irish Catholic priest (Father Mathew) and that most of the teetotal people in the world were and are Muslims or Hindus. I agree that there was no global perspective in the episode. There was no context for the rise of the Anti-Saloon League since the show said nothing about the Prohibition party which still exists. I was the first person to write about the connection between the adoption of the income tax and the enactment of Prohibition. However brewers and distillers did not realize the meaning and impact of the tax until it was too late. As the 18th amendment was being ratified they were still promoting their role in filling the coffers of the Treasury. Although people supported both the income tax and prohibition, the movement to obtain an income tax did not originate with the Anti-Saloon League. In general, prohibitionists resented the legitimacy the excise tax gave to the liquor industry but their real goal was always the elimination of the sale of alcohol. The Tea Party may come to mind when watching “Prohibition” but I think the greatest parallel is with the anti-abortion movement.